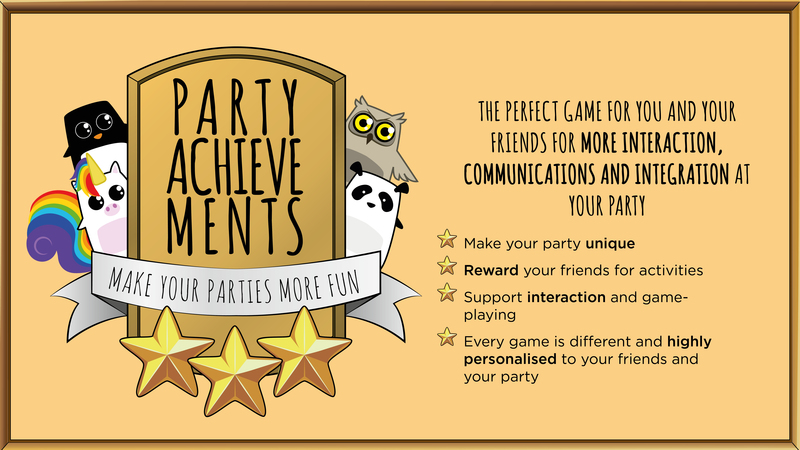 Party Achievements is a sticker party game that I invented. Its goal is to support interactivity and openness at all kinds of events (birthdays, weddings, team events, etc.). That way, you make it easy and fun for your guests to interact with each other and participate more at your party. I set up a seperate Party Achievements website for a better overview of all the content. Check out the link, if you are interested!! Let’s say, someone gifted you that set (any – a custom one, a small one or the Master Set) and now you have some kind of event coming up, and need to find fun activities to do. In that case, you should sight all the stickers available and think of ideas that match your event. 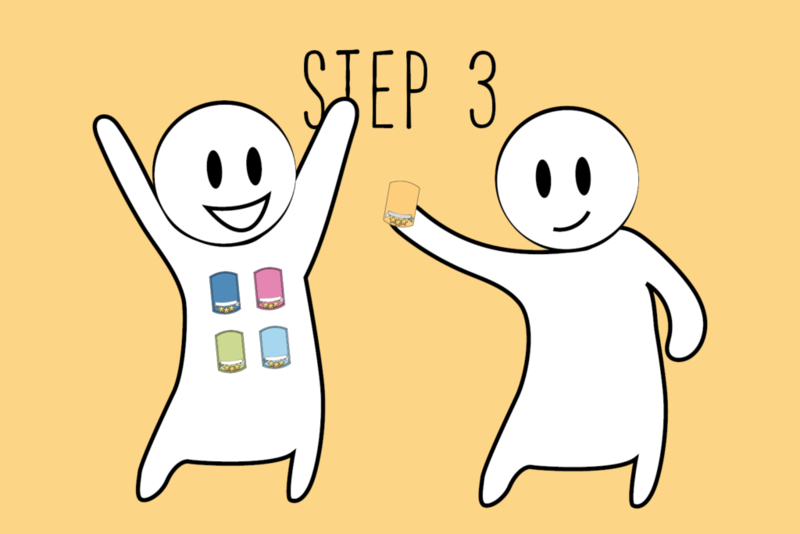 You have an event coming up and already a few ideas in mind how to make it even more fun and need to find the perfect sticker achievement for it. In that case, you should write down all your ideas and then browse the sticker website. 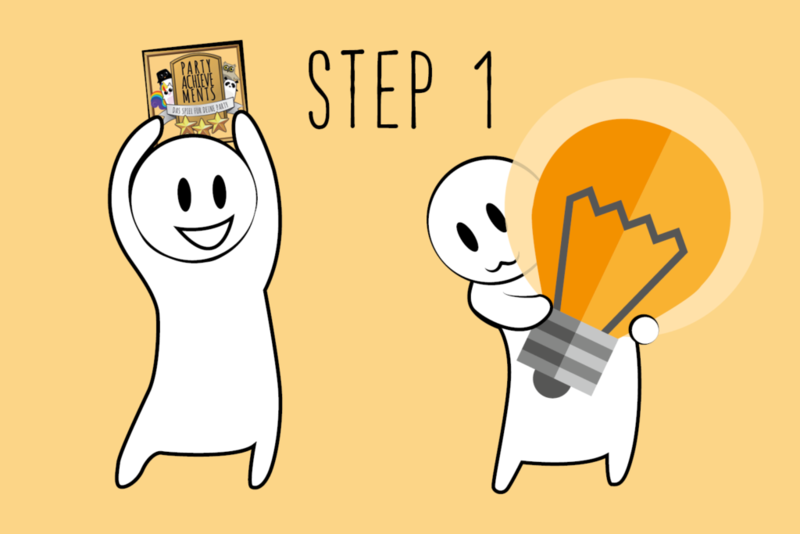 What achievement fits your idea best? I do offer to print custom stickers (your choice of animal, color of badge and text). If you are interested in something like this, just message me at info@partyachievements.com . 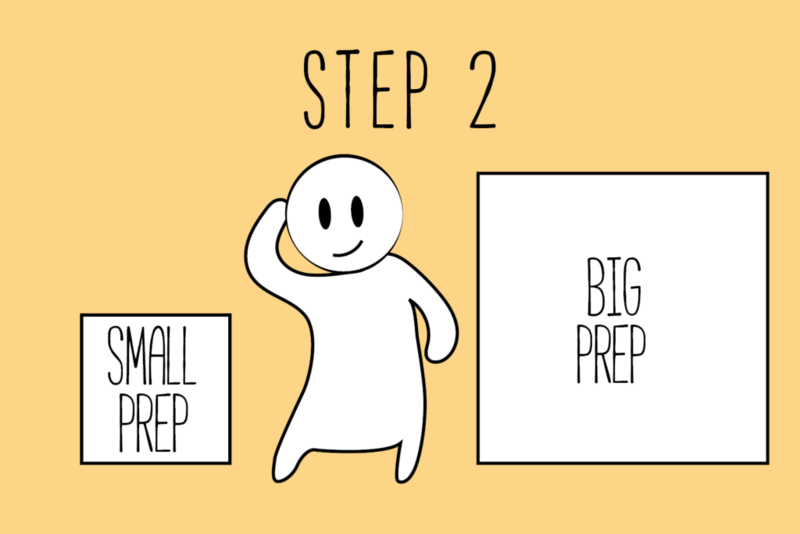 Prepare a little or prepare a lot – it’s up to you! Depending on your kind event, you might need a little more or a little less preparation. Tip: If you have much to prepare, maybe it’s a good idea to ask a friend to help. Make a list of all the activities that people have to do in order to get a sticker achievement. Decide whether you want to use a rule poster. If so, print them out (Download Content), fill in your rules and hang them up. Depending on your activities, you could use those: paper, pens, play doh, Lego, board games, drinks and food, toys, etc. And of course anything else, that you usually prepare for your event. The hard part is done, but there are a few things left to do at your party. Everything is prepared and your guests are coming. The good news is that most work is done (coming up with the ideas and prepping takes the most time). What now? Hand out the sticker achievements. Now this is up to you: Some achievements are easy to get, so it may save you trouble just hanging them next to the task on the wall (with tape). Tip: If you cut out a little strip at the front of the foil, they are easier to remove. If your activity is a little harder, have people coming to you, or you helping hand (recognizable through the “Helferbiene” achievement).